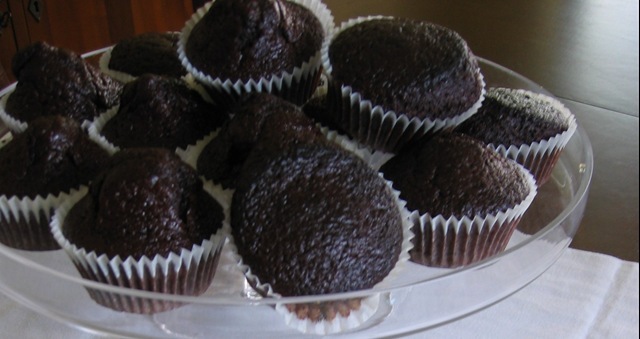 Cupcakes have been around for age’s, I think everyone has tried one recipe or another. I have to admit this is my first. I wanted to make something a little different for a dessert,not too sweet, chocolate, fresh and satisfying. And so that’s how I arrived at this special treat. Chocolate and mint has always been a great combination. 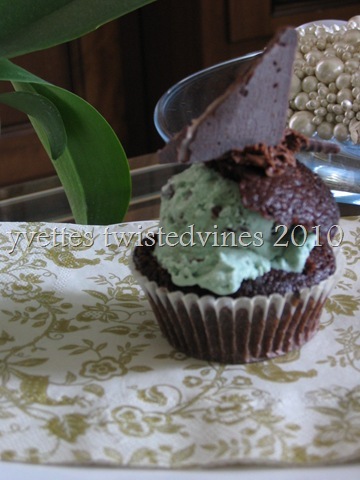 Table Eights- After Dinner Mint has always been a decadent finish to a dinner party, so enjoy my after dinner mint cupcake. Finding a recipe for a quick chocolate cupcake wasn’t too difficult…I decided on this one bowl recipe, I can see why cupcakes are a quick choice for many home making cooks, preparation time was a whizz, cooking time was quick, no cleaning of tins, and definitely a buzz whipping these things up. I however, didn’t want the normal look of a cupcake,(cake and frostinf) it wasn’t for afternoon tea,but an after dinner dessert. 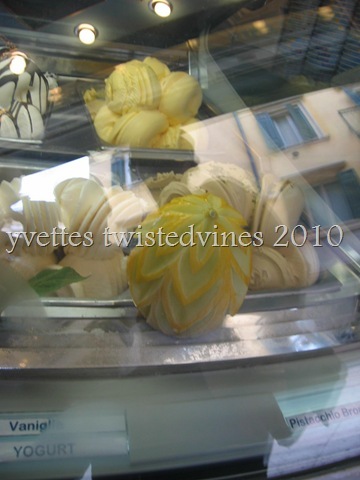 So knowing how delicious our gelato (ice-cream) is I put together this combo. Preheat oven to 250°C. Line standard muffin tins with paper liners. Sift cocoa powder, flour,sugar,baking powder and baking soda and salt into a large bowl. Add eggs, warm water,oil,natural yoghurt and vanilla and mix until smooth. Divide batter among muffin cups, using an ice-cream scoop is a great measure of the correct quantity for each muffin cup. Bake for about 20 minutes. Transfer cupcakes to wire rack and let cool. Just before serving…cut the top off a cupcake…place one scoop of chocolate mint ice-cream in cupcake, add top of cupcake and smear nutella on top, cut an after dinner mint in half and garnish. 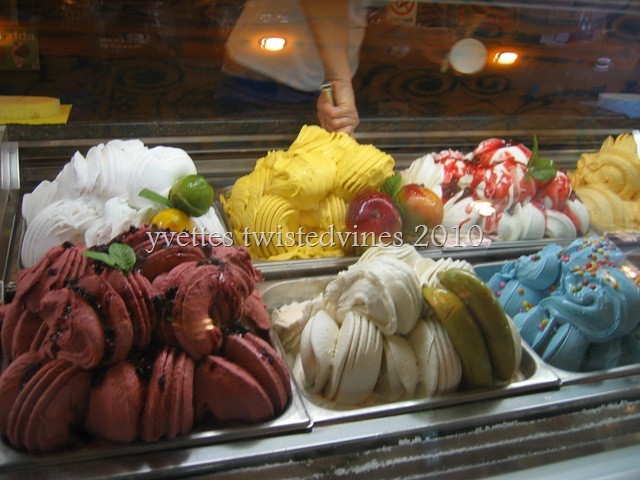 We have an unbelievable choice of flavours: Lemon & Lime,Mango,Chocolate Chip,Banana, Yoghurt with Mixed Berries…. 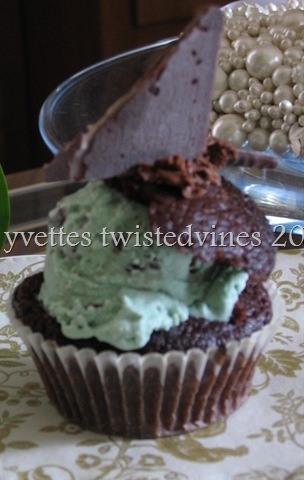 After Dinner Choco-Mint Cupcake might just tie you over! So what’s fun about Tuesdays, sharing all these wonderful ideas and recipes with friends..
Have a wonderful Tuesday all. 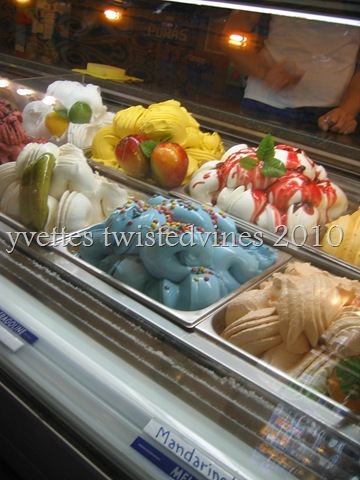 What a unique dessert concept, and your ice cream shop looks fantastic! This combo of cupcake and ice-cream works well…even with a plain cupcake and fruit ice-creams would work wonderfully…yes, our ice-cream shops are hard to pass by! 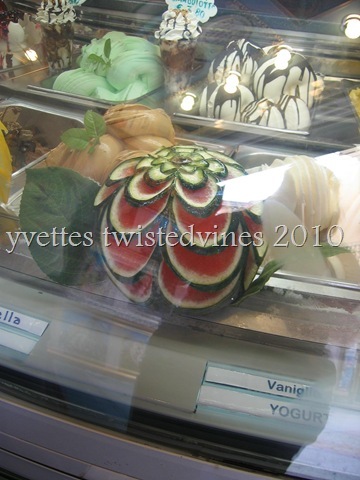 Very eye catching and mouthwatering gelato! Yum! 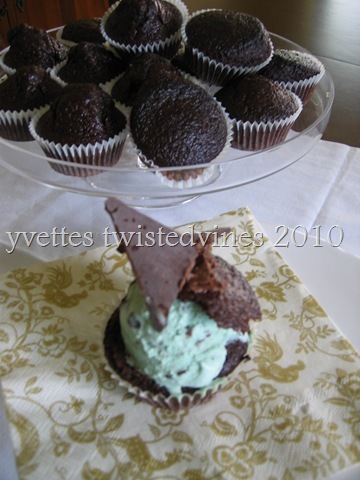 Love the chocolate mint cupcakes. We make chocolate mint brownies that were also inspired by those After-Eight dinner mints. There’s no better way to end a meal…. thanks for calling by…I agree the perfect little slice of heaven! Always a pleasure to have you call by….these cupcakes certainly magnify the chocolate -mint flavour…our ice-cream shops here are just magical aren’t they! What a great recipe. It has all the qualities of an ice cream cake but is already in individual servings. 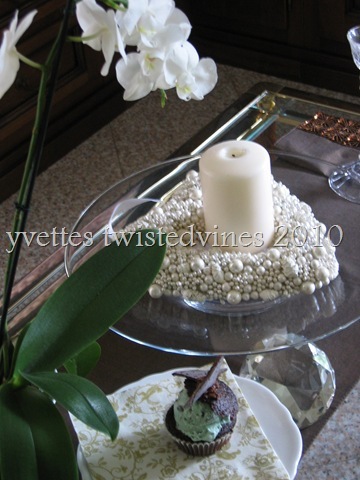 Lisa,thanks for calling by…a single serving of bliss..chocolate and mint go great together! Unique and decadent! Great photos, thanks!